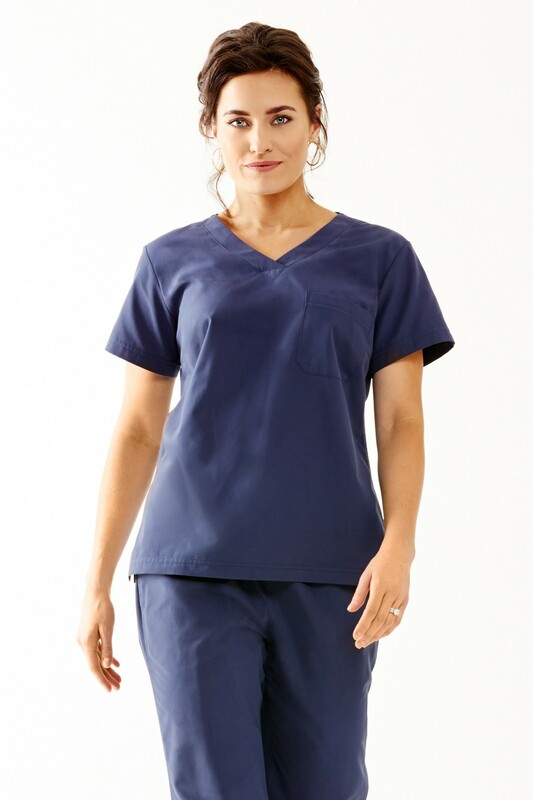 Pilling, shrinking, staining – these are just a few clothing woes that we experience as a result of just wearing our scrubs and lab coats as they’re meant to be worn. For the most part, they’re unavoidable. After all, your medical uniform is meant to protect you and inform others while you’re on the job, so stains and damage will naturally occur over time. It’s just a part of natural wear and tear. But how frustrating is it when you put on your freshly washed dark blue scrubs, only to discover that your deodorant left an unsightly white smear all over the hem? There are two options when you find yourself in this situation. Either you toss your scrubs top back in the laundry to be cleaned again (don’t do this – it’s wasteful), or you try your hand at getting that deodorant stain out by hand. Luckily for you, there’s a much easier, cleaner, and effective way to remove these white stains. Instead of trying to spot clean these stains from your clothes with soap and water, rub at the stain vigorously with another piece of clean clothing (or a rag works fine too). The friction from the fabric will absorb the deodorant and disperse the particles so that the stain disappears like magic! This is much more effective, and gets rid of these stains from your clothes without getting them damp or making a mess. This entry was posted in black scrubs, Blue Scrubs, Medical Scrubs and tagged Caring For Your Scrubs And Lab Coats, Cleaning Hacks, Scrubs on June 27, 2016 by Ariel Jacoby.